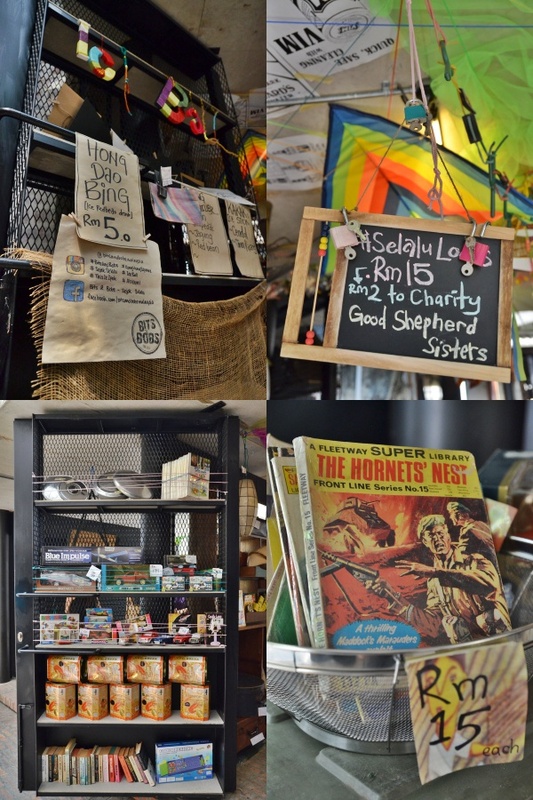 Bits & Bobs @ Ipoh Old Town is located in between Burps & Giggles and Plan B; focusing on the simpler indulgences in life back in the early days of baby boomers and Gen X. Think ais krim potong, ais kepal & red bean ice (hong dao bing). 3 March 2008 – I first started writing on Motormouth From Ipoh. 6 years have since come and gone. More than 1000 posts on food, travel and at times, incoherent ramblings; like true Motormouth style. It amazes me even until at this point of time that I am still able to churn out periodic stories here in this space of mine. What seemingly started as a no-holds-barred personal account of food trips somehow ended up being something much bigger. And tipping over slightly on the negative scale; this gradually become more time-consuming and less personal as time goes by. Sad but true. Ernest Zacharevic waved his magic wand (or rather, brush) in Ipoh with this very subtle piece of wall art in Ipoh old town opposite of Kong Heng kopitiam; the packet of black coffee (kopi-o) hanging from the pane. Remember this is on Jalan BANDAR Timah and not Jalan BIJIH Timah as reported in The Star. As stubborn as old tradition goes, the anniversary posts have almost always been a story about Ipoh. 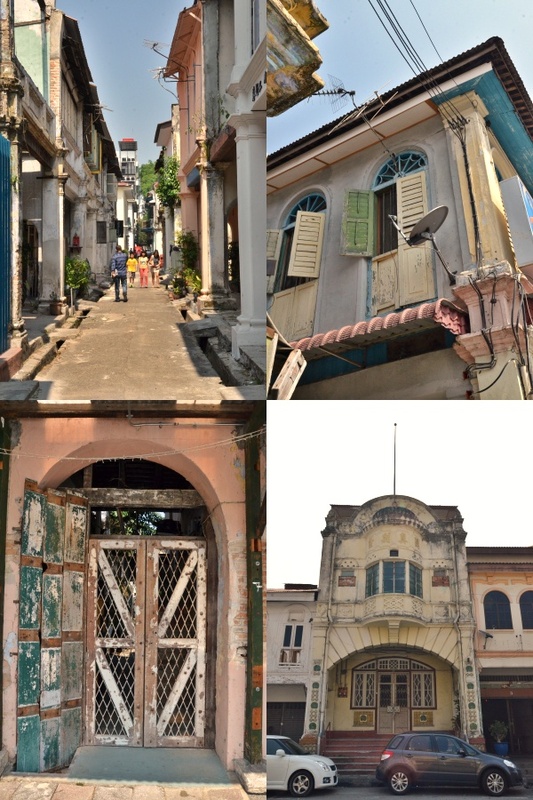 To commemorate my 6th years of blogging, let’s celebrate the rejuvenation of Ipoh old town with a Sunday morning walk about. 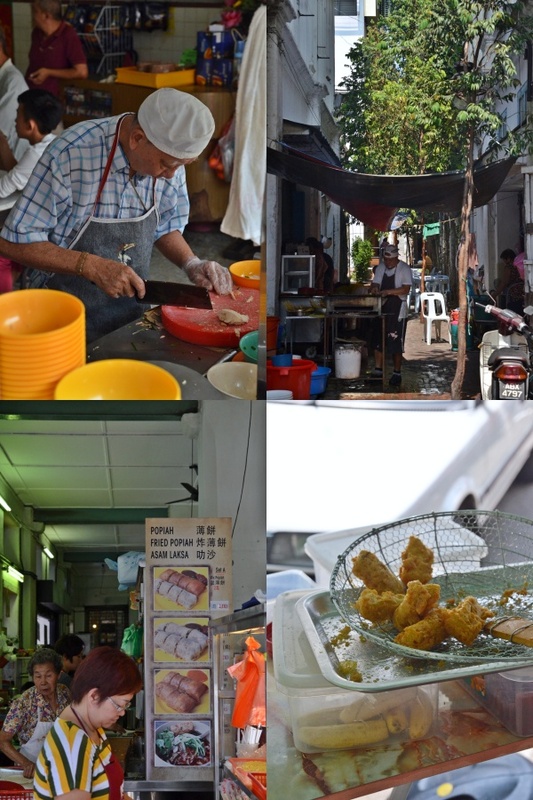 Concubine Lane (Lorong Panglima) on the top left photo houses one of the best old school ‘chu char’ place in Ipoh; Wong Koh Kee that dishes out an incomparable Sweet & Sour Pork, Crispy Roasted Chicken & Braised Fish Head. 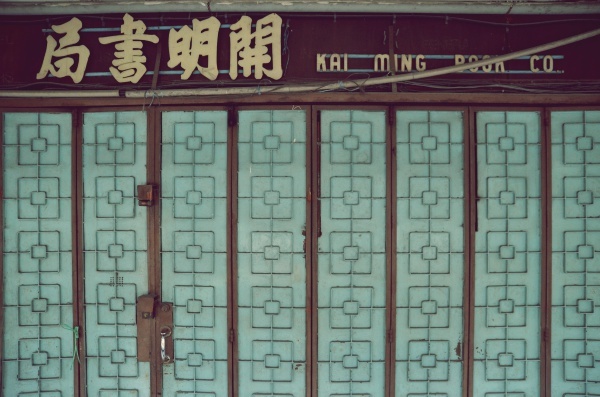 Thean Chun (Hall of Mirrors) still owns the best “Kai See Hor Fun” crown in Ipoh, while Kong Heng epitomises everything a classic kopitiam should look like. OCK Curry Puffs have since moved away from the now famous Ipoh Street Art spot (the blue metal shutter with the drawing of a hanging pack of kopi-o) to Zun Seng Fatt Cafe next to Thean Chun. 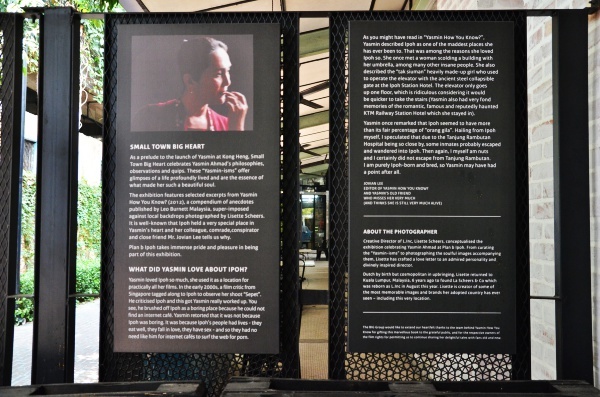 The late Yasmin Ahmad was one excellent visionary film maker; with a knack for tugging at your heart strings. If you remember the Petronas ads from the earlier years, then you will feel the same way too. 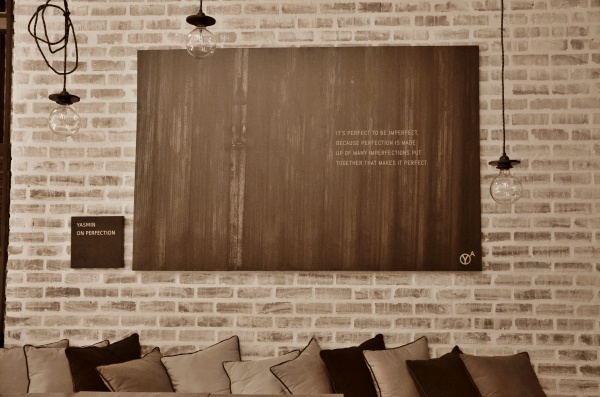 This was taken at the entrance of Plan b next to Kong Heng. 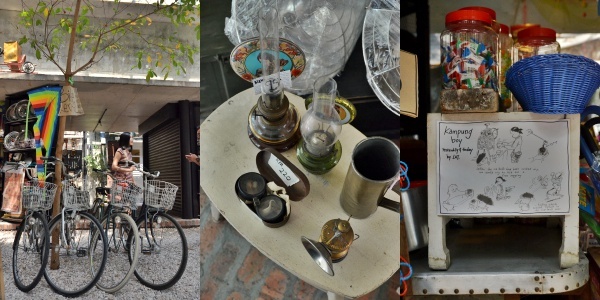 Bits & Bobs started by Dexter & Nikhil Roy is linked to the Burps & Giggles, Buku Tiga Lima and Missing Marbles expansion within the vicinity; a collective effort in collaboration with multiple stakeholders – Sekeping and Plan b to rejuvenate this part of Ipoh old town; injecting life back to the area like the golden years when Ipoh was a flourishing town rich with tin mines and trades. We sampled the Ning Nong (RM3/USD1 per ball) ice ball (ais kepal); an ice ball bigger than the size of a fist shaped with care from shaved ice then drizzled generously with gula melaka (palm sugar syrup) and inserted with bites of cooling lychee. To my parents, this was a really warm reminder of how Ais Kacang really looked like back in their younger days, when each ball would cost anywhere between 5 to 10 cents yet evoked such strong sense of joy in the hearts of the children. Now? Your kids may not be fond of the idea of soiling their fingers and affect their continuous Facebooking/Instragramming and request for a spoon instead. And a bowl to hold the ball together instead of a piece of brown paper. Restoran 26 (Two Six) on Jalan Panglima (few doors away from Li Heng Fatt Hor Hee) is this new coffee shop that was packed until the corridors. There must be something special about this place. And we were right. Zun Seng Fatt’s pork noodles and curry noodles stalls have moved to this new premise named Restoran Two Six on Jalan Panglima. The patient crowd was willing to wait a good 45 minutes or so for their now famous brand of pork noodles cooked with a generous handful of lard fritters. We had a bit too much to eat earlier, thus ended up taking away some caramel egg custards. 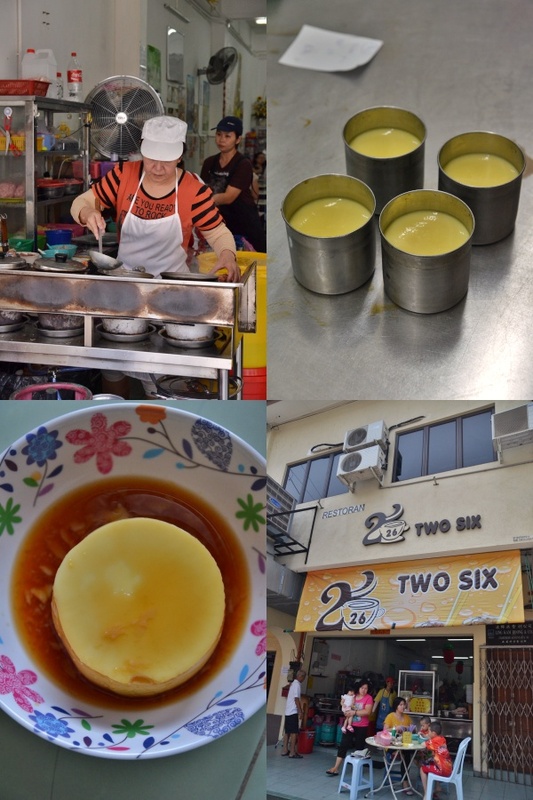 A strong testament to their years of neighbouring with Thean Chun (still making the BEST caramel egg custard in town), 26’s version was not too shabby either. RM2.50 per portion. 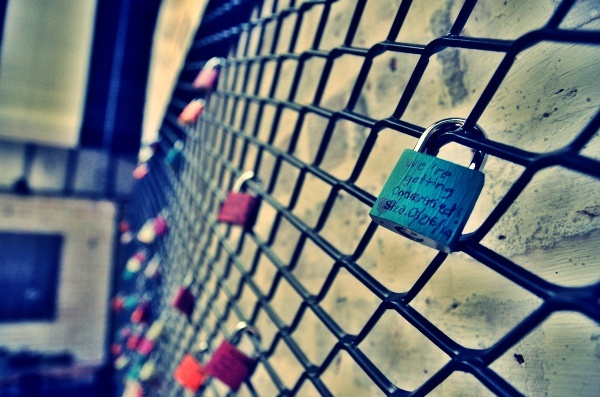 #Selalulocks – Part charity, part promise @ Bits & Bobs. Congrats to the couple! If you can afford the time (and you should be able to), why not put your smartphones and tablets away for a moment, reconnect with your loved ones and take a stroll around the area? Feed your stomach with the plethora of hawker food and reminisce or learn of the simpler, less chaotic and confusing times from the olden days of your parents, Who knows, these stories will just find their way to the hearts of the future generations thanks to the preservation effort of the good Samaritans here in old town. 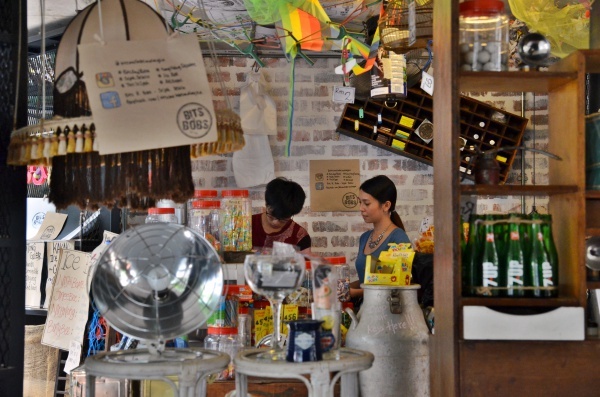 *Everything’s within walking distance from one another – Burps & Giggles, Buku Tiga Lima, Missing Marbles, Roquette Cafe and Patisserie Boutique are adjacent to one another along the same row, while Bits & Bobs connects the row to Plan b, Sekeping Kong Heng and Kong Heng/Thean Chun/Zun Seng Fatt kopitiam. 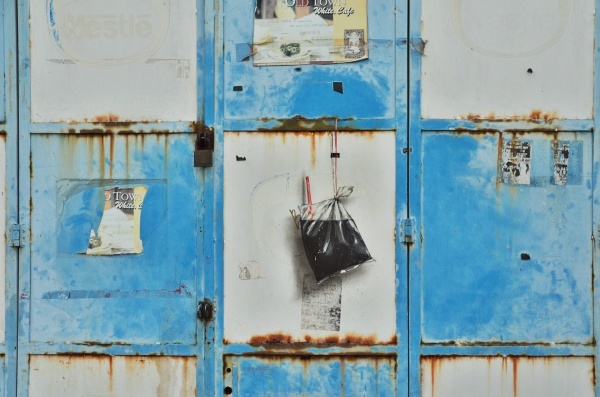 Opposite of Kong Heng will be the wall art painted by Ernest Zacharevic; a packet of black coffee hanging on the blue and white doors. Restoran Two Six, Li Heng Fatt Hor Hee and Yik Sun Hakka Mee with Beef are along the same row on Jalan Panglima nearby. 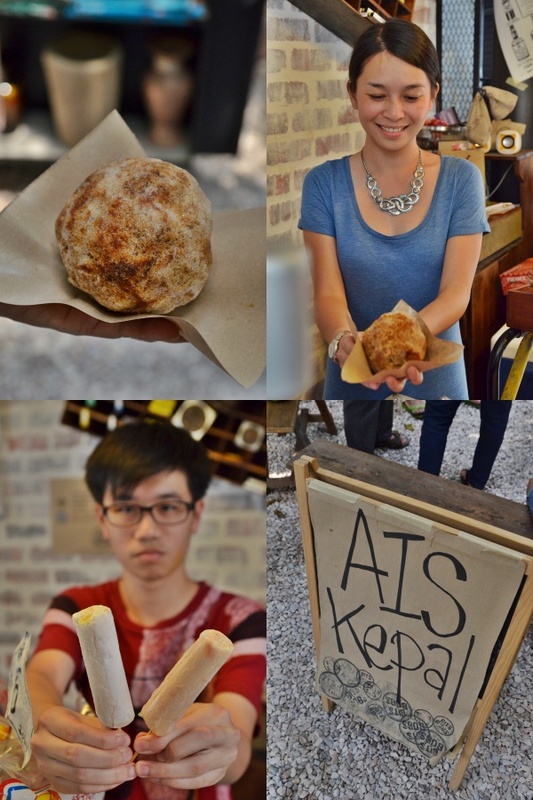 **For more on Ipoh Old Town reviews, click this LINK. Do you ever reveal who you are in real life? As a Ipoh girl, I cherish every bit of Ipoh town. Food is one thing but I also love looking and taking pictures of old buildings for keepsake. It breaks my heart that each time I go back, I feel dishearthen when one shop/building, which I used to go when I was young, is being put on sale or make way for new establishment. Sometimes though, I feel happy that I am able to meet back the uncles and aunties from stalls which I frequent to when I was young. But I dread the moment that I may not see them again on my next visit. 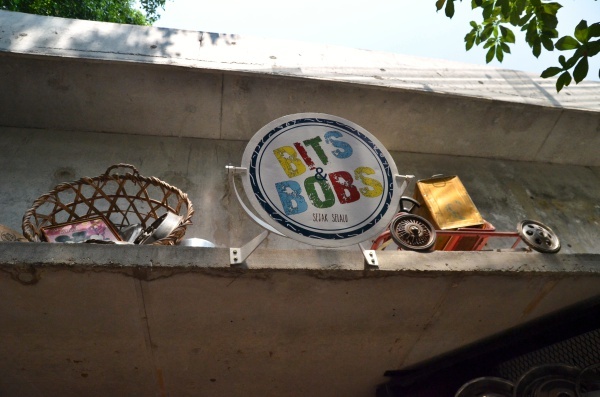 Yesterday afternoon 12th July 2014 i visited Bits & Bobs and the surrounding areas.I enjoy reading your write ups on Ipoh.